In sharp contrast to 2012, when Putnam received not a single dollar of the state economic development grants, County Executive MaryEllen Odell and business people are thrilled with this year’s showing: $1.3 million for six Putnam related proje… Please login below or purchase a subscription to the Putnam County Courier to access this content. A Cortlandt resident faces a variety of felony charges for allegedly stealing valuable pieces of art from a Lake Peekskill man who was found dead in his home by the suspect. State Police reported the arrest Thursday of Hiram Mendez, 35, in connectio… Please login below or purchase a subscription to the Putnam County Courier to access this content. The Rev. 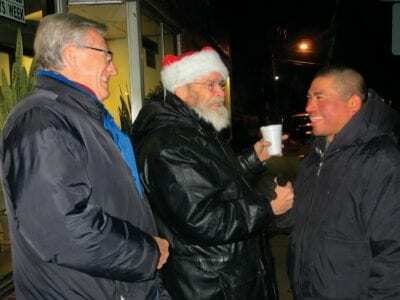 John Hagedorn (left) and Rick Stockburger greet guests of the shelter on Friday night in Brewster. The first snow of the season has fallen. Night time temperatures continue to drop. Winter is upon Putnam County. Unfortunately even in a commu… Please login below or purchase a subscription to the Putnam County Courier to access this content. A Carmel woman and two men from New York City have been indicted by an Ohio grand jury for using fake credit cards and drivers licenses to purchase merchandise at big box stores throughout Pennsylvania, Illinois, New York as well as Ohio. Samsara De… Please login below or purchase a subscription to the Putnam County Courier to access this content. Employees of Hone Depot act as Santa’s helpers last Friday by constructing shelves in a vacant store at 50 Main Street in Brewster that is being used as a gift distribution site. A shortage of toys donated to CAP (Community Action Program) in B… Please login below or purchase a subscription to the Putnam County Courier to access this content. 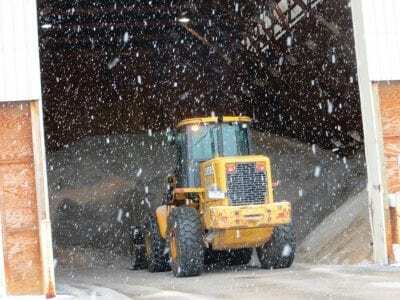 Winter hasn’t yet officially arrived, yet many Putnam residents are already fed up with snow and ice that wreaked havoc across the county on two separate occasions in the past few days. 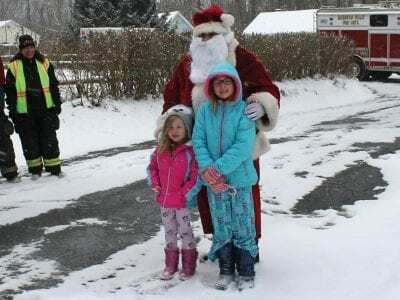 Last Saturday morning the snow began falling, and b… Please login below or purchase a subscription to the Putnam County Courier to access this content. Santa’s helpers are sporting blue and gold Rotary ID tags these days! Members of the Carmel Rotary helped to distribute more than 200 boxes of non-perishables to area food pantries that will help feed 950 Putnam County families in need this holiday … Please login below or purchase a subscription to the Putnam County Courier to access this content. With the holiday season in full swing comes an array of activities: Entertaining, visiting friends and family, traveling and extra occasions to eat, cook, clean and shop. For many, the hustle and bustle also prompts feelings of stress and depression… Please login below or purchase a subscription to the Putnam County Courier to access this content. Dear Editor: I read with interest recent comments from Putnam Commissioner of Elections for the Republican Party, Tony Scannapieco. He contends that the defeat of two incumbent Kent Republican candidates for re-election was based on personal issues… Please login below or purchase a subscription to the Putnam County Courier to access this content.